Since 1977, we have been an expert in commercial mortgage financing. 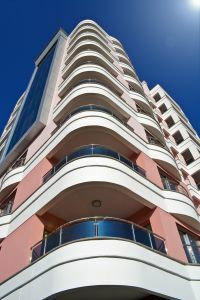 Ocean Pacific Capital specializes in the commercial mortgage financing over $2 million for multi-family buildings, apartments, co-ops, shopping centers, hotel, office, retail, mixed-use, special-use, and hospitality. We organize equity participants, acquisition loans, mezzanine loans, bridge loans, construction loans, joint ventures, as well as permanent financing across the United States. Whether it is income-producing or owner occupied, we address all components to structure the best loan placement. Our goal is to ensure that our client's business aim and objectives are fulfilled and made possible. Our experience in this industry for over 31 years substantiates the edge and value added services we offer to our clients. Our company distinguishes ourselves in the commercial mortgage financing industry through our exception commitment to our clients throughout the loan process. A problem-solver and an advocate to our clients, Ocean Pacific Capital sets itself apart in its ability to negotiate the details of a lender's request and obtain a favorable outcome with any lender's concern. Our access to hundreds of commercial lenders allows us to find the perfect loan to suit your needs at one of the most competitive interest rates We strive to meet our clients' expectations, especially the time frame that funding is needed. We do not take commercial mortgage financing lightly. We understand the importance and value that we add to this industry, as well as to our clients. To get started on this process today, call us to speak to our commercial loan specialists.